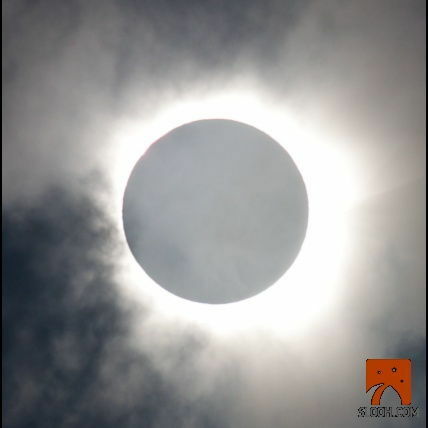 Last night on the 13th November 2013 between 7.30pm and 9.30pm GMT a Solar Eclipse took place in Northern Australia. I was able to view this LIVE via an internet streaming connection, and the goodwill of Panasonic setting up two live feeds 70kms apart. One from Sheraton Mirage Port Douglas Resort and the other from Fitzroy Island. The feed was from Fitzroy Island due to better weather conditions. There was a Facebook Page created where both feeds were seen live side by side and now holds video highlight upon it. Whilst sat watching this eclipse my head was turning over several thoughts and this post is about me sharing these thoughts and the memories of watching previous eclipses in person. Ever since I was a child I have been in awe of the world, the universe and space around us. I think it is an instinctive feeling of all of us to want to know from where we came from, what makes up our universe, and how we all fit into it . Watching the beautiful slow movement of the moon between the sun and the earth never fails to amaze me. It is such an awesome sight and one that we get to see several times in our lifetime. Thank you for the internet and live communications. As the eclipse completes a solar cycle and it then starts to repeat again. Its movement was graceful yet awesome in each and every step it took. Its movement were slow, productive little steps but yet set a beautiful sight to the eye. It finally reached its target of a total eclipse. It surpassed this target to it to begin the cycle again. The universe is an area that we still do not fully know about. The sun and the moon are a major part in this encompassing us on Earth. I know some of my thoughts are strange but that’s how my brain works!! This got me thinking about what I am doing now in this internet walk. THe current course One Month Mentor that I am undertaking day by day, 31 days in total. This assimilates to the slow steps of the moon as bit by bit it moved across the sky to the target of total eclipse. In course terms I am slowly moving towards my target of completing the course, creating an awesome vision in the process and beautiful to the eye!! I am sure that on completing this course that my results will reach my target and go beyond. The daily training to videos, PDF’s and worksheets are my new founded planets and stars, each holding a hive of information yet to be revealed to me. Finally the internet, www. live communications, computer technology encompass us as marketing entrepreneurs and without any part of these then our journeys would be so much harder. They are our sun and moon as we work on earth as we work in our marketing universe. .For further details on the ONE MONTH MENTOR course – Click here! !